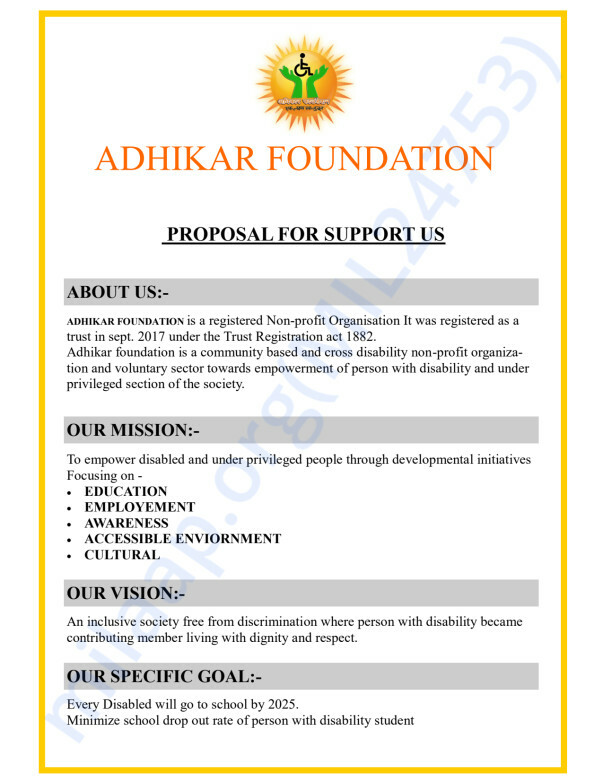 ADHIKAR FOUNDATION IS A CROSS MULTIPLE DISABILITY AND COMMUNITY BASED NON-PROFIT ORGANISATION OPERATING BY THE DISABLED STUDENT WITH THE CO-OPERATION OF GENERAL STUDENTS. 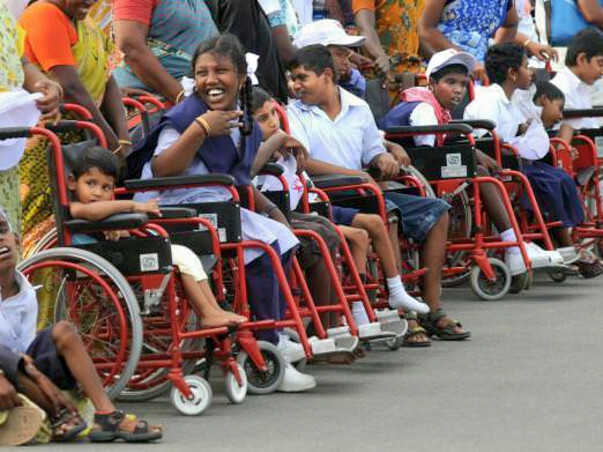 NOW SOME TYPE OF NEEDED WANTS TO FULFIL THE NEED OF DISABLED STUDENT . 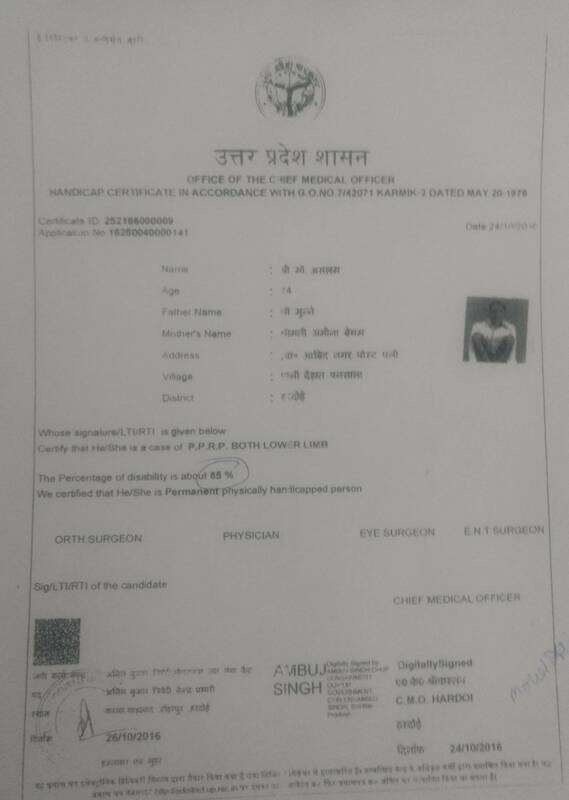 WE ARE VERY THANKFUL IF YOU CONSIDER AND DO SOME NEEDFUL.